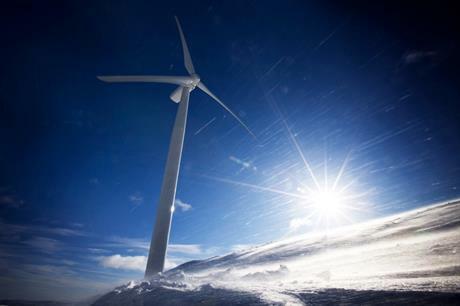 SWEDEN: Certification body DNV GL and Swedish atmospheric scientists WeatherTech are working together on a new icing model to better predict the performance of wind turbines in cold climates. The two companies will pool their cold climate wind resource assessment knowledge to "enable innovation in the renewable energy market", they announced. DNV GL will provide its database of production data from operating wind farms in cold climates, while WeatherTech will contribute its WICE model, which predicts losses in production to ice production on blades to the partnership. They hope to provide more reliable icing loss estimates for wind projects, they stated. Consultancy BTM has forecast 186GW of wind power capacity to be installed in cold climates by the end of 2020 – a 30% share of global capacity by that date. Improving predicted icing loss is becoming "increasingly urgent", DNV GL argued. The certification body has collected data from more than 70 meteorological masts and 30 operational wind farms from across the Nordic region to establish a relationship between energy losses and icing and hub-height altitude. DNV GL has shown altitude is the driving factor for icing losses, it stated. Earlier this year, the Research Institute of Sweden (RISE) signed an agreement for a new cold-climate test centre for wind turbines to be located at a site 780 metres above sea level that experiences roughly 500 hours of icing effects every winter. Also, manufacturer Vestas unveiled a new electrothermal anti-ice system running along the length of a turbine’s blade to prevent ice build-up in cold-climate markets.